Do the Right Thing, Register & Vote for Your People! There are numerous Assyrians worldwide that contribute to the betterment of the Assyrian culture through various means. However, the importance of such work is often times only acknowledged by members of our community residing in a close geographical proximity to observe the efforts of our handful of Assyrian nationalists. I owe many things I have learned about my people and culture to my Malfono (teacher) Nahro Beth-Kinne. Kindly taking me into his home during the course of my internship with the Brussels based NGO, Human Rights without Frontiers for a period of over two months, and learning about his contributions to his nation and his continuous efforts in promoting our culture, I felt compelled to conduct the following interview. Ilsina enjoying a ride atop the author, Shariman Mado at home in Brussels. Perhaps the greatest and most life-lasting lessons I have brought with me is a greater knowledge of my language by learning my other dialect, Ma’erboyo or Western Assyrian. Nahro and his family, including 2 and a half year old Ilsina, whose profound usage and knowledge of the Assyrian language is nothing but astonishing, have instilled a permanent component of my culture in me, one of which is nothing but a gift I wish many of our people could experience. What is more inspiring is the fact that Nahro has an astounding knowledge of both main dialects that constitute the Assyrian language, in both their written and spoken form. It is not through Nahro’s gold Assyrian Star necklace, symbolizing our national flag that one sees his Assyrianism, its through his extensive work in promoting and advocating our cultural in a pluristic European society and culture. One night upon pondering about our Assyrian identity through various debates, I had asked him how he addresses issues pertaining to church divisions and linguistic differences, and the arrogance that lies amongst our people that contribute greatly to our divisions, and how such peculiarities impact who he is and where his identity lies…Nahro simply answered, “I don’t care what anyone would say to me, I am Assyrian, and Assyrian is what I am, and no one can ever tell me otherwise, nor will I ever feel otherwise.” Nahro’s pride in his nation can simply be seen even in his work, as his hair salon is also called Coiffure Ninive. Mrs. Shamiram Beth-Kinne, Malfono's wife. An interesting experience Nahro had once encountered, which is a flagrant example of the closeness we share as a nation, irrespective of dialectic or tribal distinctions, was when Nahro was called to serve as a translator in Brussels. He was asked to select, from a list of languages he had knowledge of. Following his selection the officer was puzzled at his knowledge of 7 languages, not including Kurmanji, Turkish, French and English. However, what amazed the officer even further was his knowledge of the following languages as listed: Syriac, Aramean, Assyrian and other terms that scholars have become famous for in creating new terminologies for our Assyrian language. As Nahro pondered upon the officer’s admiration, he laughed and informed the officer that although officially he knew 7 languages but they are actually all one in their linguistic form, with minor dialectical differences, however the language remained Assyrian. I was blessed to have met such wonderful people whom I have added to my circle of family and friends whom I cherish deeply. I would like to thank the Beth-Kinne family, Nahro, Shamiram, Nimrud, Ilona, Daysan and my “baybet mama” Ilsina, knowing that she has been nothing but a blessing and a gift, again tawdi ghalabeh malfono o’ ahono shariro, Nahro, o’ tawdi saggi al’ hothi azizto Shamo. Nothing would have been possible without you, you’ve become a sister and a best friend. Malfono Nahro Beth-Kinne & his children: from left to right - Nimrud, Ilsina, Daysan, & Ilona. Shariman: Tell us about yourself and your place of origin. Malfono: I was born in “Atra d’ Atour”, district of Turo d’Qashyari (Tur Abdin), in the town of Midyat. Immigrated to Brussels, Belgium in 1981 and has been residing in Brussels for 23 years. Married to Shamiram Beth-Yacoub. 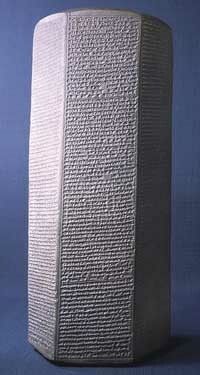 We have four children: Nimrud, Ilona, Daysan and Ilsina. Shariman: What is it to be Assyrian? Shariman: How do you feel about the situation of Assyrians today? Malfono: The situation of Assyrians today is a very bitter and sad one. There is no need for conversations that hinder and add to our neglect and dissatisfaction. We, as a nation, must find purity and understanding amongst us. The bitterness that we encounter from our political parties and individuals who represent such parties do not have the time to address issues pertaining to the Assyrian nation. The bitterness lies in individuals within our nation not seeking and making the necessary time to devote to the tribulations of our nation and dilemmas faced by Assyrians today. For example, the second bitterness comes from the churches and church representatives. The situation of the Assyrians of Iraq illustrates the inaction and passivity of our political parties and churches in adequately representing and addressing the Assyrian issues. What have the political parties in Iraq done with regard to the innocent Assyrian victims who have become targets for terror? We must work sincerely and adequately together, as one. Shariman: How do you contribute to the Assyrian nation? Malfono: My contribution has been to the future generation and the youth of today to educate them. It's through education that the weight of issues facing our nation will decrease. For twenty years, I have conducted a weekly radio program to educate the youth about our history, culture, patriotism and language. In addition, I have various conferences pertaining to different issues such as history, politics and culture. I have also arranged various expositions pertaining to Assyrian culture and history. The biggest event was the exposition I held about the heritage of Assyrians of Turkey (Turk Abdin and Hakkari) at Cathedral of St. Michael and Cathedral Basilique de Koekelberg and St. Antoin in Brussels, Belgium (see photo below). According to the church officials, approximately 450,000 people attended the exposition of pictures, which remained on display for a period of two months. We try to get our youth to listen to our songs in our mother tongue in both dialects, Ma’erboyo (Western Assyrian), Ma’denhoyo (Eastern Assyrian) and French. Shariman: What do you perceive to be an essential component in preserving the Assyrian culture in Western societies of North America and Europe? Malfono: We must learn and teach our language, everything is manifested in our language. So in essence, everything relates to how strongly we preserve our language which dictates our daily lives and relationship within ourselves and others. Youngsters feel a sense of belonging to that culture and people when they know their language. The Independent Electoral Commission of Iraq on Tuesday issued a list of all slates and groups participating in the Iraqi elections. The list includes the candidates from each slate or coalition, and the ranking of each candidate within each particular slate. (ZNDA: Mosul) "Voting is a national and religious duty" for the people of Iraq, the Chaldean Catholic archbishop of Mosul told the AsiaNews service. Archbishop Louis Sako told AsiaNews, "At Mass, in the homily, we tell people to go and vote." He said the January 30 election will be "something immense and new" for Iraq, giving the country's people their first chance to elect their own political leaders. The Chaldean archbishop recognized the dangers that will accompany the national elections. "There are, of course, people who are frightened by threats," he observed. His Syrian Catholic counterpart, Archbishop Basile Casmoussa, was kidnapped last week by Islamic activists who evidently wanted to force a quick US withdrawal from Iraq. But Archbishop Sako argued against an immediate American withdrawal, saying that such a move could lead to civil war in his country. Bishop Sako: Yes, because the current government is provisional but, after the elections, it will be the result of popular vote. Iraqis have the opportunity to choose their leaders, those they prefer. The elections are something immense and new. Nothing of the kind has happened in the past 50 years: first because of clashes and revolts, then due to 35 years of dictatorship. There has never been freedom of expression. But now, anything is possible: If there are people and parties arguing and clashing, that is because they are free to do so. Now, Iraqis must learn to discuss in a civil manner. But the people of Iraq have never been trained for coexistence; they have always lived in the midst of violence: three wars, a dictatorship, 13 years of embargo. This is why freedom is not used in a responsible way and problems arise. Bishop Sako: Just yesterday the Pope asked the media to help people understand the reality of things. The media is a big problem in Iraq: a lot of lies and provocations are being written and broadcast. It's enough to think of al-Jazeera and al-Arabiya that are misinforming a great deal, in what amounts to utter fanaticism, which even Iraqi Muslim leaders themselves have condemned. These television broadcasters are continuously trying to spark violence against the Americans and even against Iraqis. They are throwing terrorism and resistance into the same pot, but to me there is a clear difference. Resistance is something noble; but two days ago a car bomb exploded at a wedding -- 20 people died. Now I ask: Is that resistance? Those 20 victims were Iraqis, innocent men and women: Was that an act of resistance? Is attacking a church or a mosque an act of resistance? Bishop Sako: I think Archbishop Casmoussa said what he did because he's thinking of his situation in Mosul: With a very large Sunni majority, the city is almost entirely against the American presence. But if the Americans leave Iraq today, there will be civil war between Kurds, Arabs, Sunnis, Shiites, Muslims, Christians. This is clear. For this reason, it is better that Americans not leave now. There will soon be a new national government; an army and police force is taking shape. 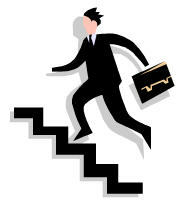 Step by step a revival plan is going forward, but it is not the result of some kind of magic. The U.S. must stay on until Iraqis can take command of the nation. For the moment, they can't do this, the necessary structures are not yet in place. Q: How do things stand for Iraqi Christians? Bishop Sako: The situation varies from city to city. It is very difficult in Mosul because Sunnis make up the majority of the population. And they are against the elections since, with the fall of Saddam's regime, they lost power. In Mosul, anyone can kidnap for money or retaliation. There is no police or security. But in Baghdad, in Basra, in the south, as also here in Kirkuk, in Kurdistan, the situation is normal. The problems are in the center, in Sunni areas. Iraqi people as a whole know that Christians are an essential part of Iraqi society. They are a part of Iraq's heritage and national history. Q: How are Christians preparing for the elections? Bishop Sako: We have spoken about the elections during Mass and have asked Christians to vote. The other day here in Kirkuk, the representatives of the various churches undersigned a joint statement encouraging Christians to vote. We delivered it to the mayor and provincial representatives; it was favorably received. It is an appeal to Iraqis to show up at the polls, as voting is "a national and religious duty which contributes to the birth of a new Iraq, for everyone: an Iraq which is able to develop in vitality." It is not a question of indicating this candidate or that. We told people to go and vote because, even if the situation is not perfect, the elections are an important step toward democracy and freedom. The elections are the right path for a society capable of progress. There are Christian parties running for both provincial elections and the National Assembly. Christian politicians are also part of other parties, for example Kurdish ones. Q: Where will the Christian vote go? Bishop Sako: We say to vote for those who are able to run the country in a just and democratic way. Christians will vote according to their conscience. What's new is that Christians are not absent, they are there, and this gives hopes for a better future. The Church must help people to stay, inspire them to take part in reconstruction, to encourage ethnic and cultural dialogue. Q: What is the Iraq that you would like to tell AsiaNews readers about? Bishop Sako: There is a lot of freedom now. Many newspapers are published and there is a lot of political discussion going on. Houses are being built; there's work. Here in Kirkuk, but also in Baghdad, people are out until midnight. It's true: People are killed for money or for political questions. But do you know that before [under Saddam], families could not buy a car because it was too expensive and only a few could afford it? Now everyone has one, to the point that we must keep then in garages because there are too many on the road! Q: What can the West do to ensure proper elections? Bishop Sako: Encourage people to vote and leave aside all that bad news that just causes harm. Television news is quick to report on attacks or some killing, but when it comes to positive occurrences, of which there are a lot, they have nothing to say. Things aren't as bad everywhere in Iraq as they are in Mosul, my hometown: In 80% of the country, things are almost normal. Furthermore, Sunnis must be encouraged to vote because giving up on the political process amounts to losing anyway. It is important that they keep struggling in a political and democratic fashion for a civil society in which Iraqis will have more freedom. (ZNDA: London) A former Archbishop of Canterbury has launched a campaign to save the ancient Assyrian people of Iraq from extinction. Lord Carey said they were facing systematic ethnic cleansing which had worsened considerably since the fall of Saddam Hussein. The mainly Christian community has faced relentless persecution for hundreds of years from the largely Muslim population living alongside them. Lord Carey today joined members of the Assyrian community in London at the House of Lords to launch a campaign raising awareness of their plight. He said: "In recent months and years churches and monasteries have been attacked and people have been killed. "In one case a young man was kidnapped and beheaded. We are talking about terrible atrocities which would undermine any community. "It is systematic violence against Assyrian people, driving them out of their homes and pillaging them. The ancient civilisation, which has existed since 3,000 BC, has one of the oldest Christian traditions in the world, dating back to the first century. About 800,000 Assyrians live in Iraq with an additional half a million around the world. They still speak the ancient biblical language of Aramaic. Prof Simo Parpola, an expert on Assyrian culture, told the meeting that the current violence was on a par with the massacres during the First World War when 250,000 were killed. He called for Assyrian rights to be enshrined in the new Iraqi constitution and for Assyrians dispossessed by the violence to be given the financial aid to return to their lands and homes. The Rev Doctor Khoshaba George, who runs an Assyrian church in London, said hopes had been raised with the fall of Saddam in 2003. But he added: "We were waiting more than 40 years for the change of regime and hoping for a bright and new future for Iraq and our nation. (ZNDA: Chicago) Some expatriate Iraqis, in coordination with the Assyrian International News Agency, petitioned the Iraq Out-of-Country Voting Program. Some of the members of the Christian, Chaldo-Assyrian community contend a lack of polling stations exists in cities throughout the world. The cities in question are: San Diego, CA; Modesto/Turlock; Phoenix, AZ; San Francisco Bay Area/San Jose, CA; Beirut, Lebanon; Fairfield, Australia; and Damascus, Syria. The Iraq OCV web site lists Damascus, Syria as a host country-city location. The petition calls for registration and voting centers in these cities, along with media education for potential voters also. Educational campaign materials are in Arabic, English and Kurdish. 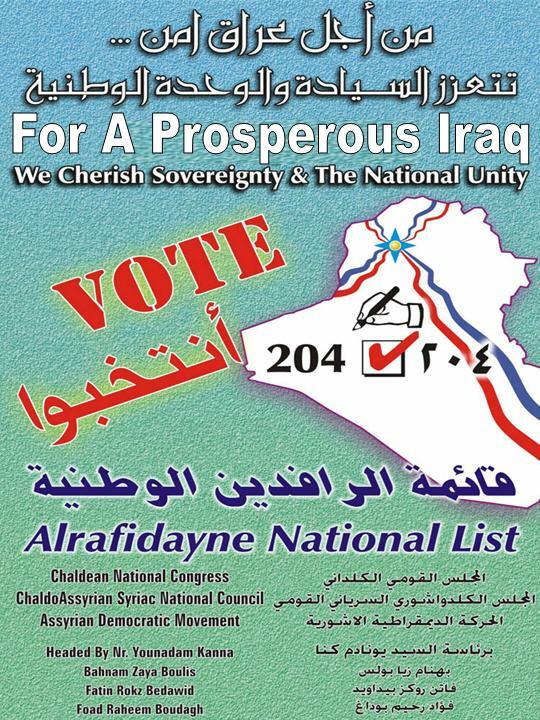 The petition states literature for the voting program excludes the Syriac language used by Chaldo-Assyrians, who are an integral part of Iraq’s Diaspora. The U.S. has five, city locations with registration and voting stations: Chicago, Detroit, Los Angeles, Nashville, and Washington D.C. Out of the fourteen host countries, Iran has the most locations, which are Ahvaz, Kermanshah, Mashdad, Orumiyeh, Qom, and Tehran. “The seemingly arbitrary allocation of polling stations is seen as an outright act of discrimination against non-Kurdish Iraqis, especially the Chaldo-Assyrians who comprise some 85 per cent to 90 per cent of all Iraqi Americans,” is a statement from the petition. The Iraqi Transitional National Assembly election is January 30th. The International Organization of Migration (IOM) implements the Iraq OCV Program. For Iraqis abroad, voter registration is from January 17th through January 23rd in host countries and locations listed on the web site. They recommend people check for updates regularly. The Iraq OCV Program estimates as many as one million eligible voters abroad will participate in January’s elections. It explains demographic limitations are in the data. This information determined electorate locations. If potential voter populations are unknown, how did the IOM designate cities for registration and voter accessibility? During the decision process, what population statistics were available? I interviewed Steven Lennon, an IOM officer in Washington D.C. He stated information from the U.S. Census Bureau and immigration databases provided the information regarding the cities with the greatest number of Iraqi Americans. There are no plans for additional, city locations. With regards to the languages used on voter campaign materials, the Independent Electoral Commission of Iraq (IECI) made the decision. Lennon explained that there are election laws. In place is the Law of Administration for the State of Iraq for the Transitional Period (TAL). The Independent Election Commission of Iraq is the mandated authority that supervises the elections in Iraq. Some of IOM’s logistical operations include training staff, coordinating with local and state officials and creating conditions commensurate with security requirements. Lennon stated IOM does not have any say in the decisions of the IECI. He expressed that IOM was happy with the cooperation and the success of IOM’s operation. A member of the Assyrian National Council of Illinois stated that Chicago’s Iraqis having registration and voting centers, so they do not have complaints. However, some community members expressed they are comfortable with the absence of the Syrian language on voter campaign material, since the majority of Chicago’s Iraqi community speaks Assyrian. “They feel they have been ignored,” she said. Nina Shea, the director of Freedom House’s Center for Religious Freedom; and James Y. Rayis, vice chair of the Chaldo-Assyrian American Advocacy Council published an article about the mass exodus of Iraq’s Chaldo-Assyrian community. They explain that the Christian minority “…find themselves marginalized and pushed aside in the electoral process – not only they their tormentors but, perhaps inadvertently by the U.S. Government (January 6, 2005, Zinda Magazine). January’s elections determine the members of the Iraqi National Assembly, who will write a draft of Iraq’s permanent constitution and shape Iraq’s future government. Shea and Rayis explain that these Iraqi Christians “…are eager to see individual rights to religious freedom and all fundamental freedoms carried over from the interim constitution into the permanent government” (Z.M.). Without government representation, Iraqi Christians will have no voice in Iraq’s future parliament. Thus far, there are no seats designated for Iraq’s Chaldo-Assyrians in the future assembly. Any Iraqi-American who does not live near one of the five, designated cities will travel long distances for participation in January’s elections. Iraqis in other countries who do not live near cities with polling stations will travel long distances as well. Most of people will make two, separate trips for registration week and election weekend. [Zinda: Sonia Nettnin is a freelance writer. Her articles and reviews demonstrate civic journalism, with a focus on international social, economic, humanitarian, gender, and political issues. Media coverage of conflicts from these perspectives develops awareness in public opinion. Nettnin received her bachelor's degree in English literature and writing. She did master's work in journalism. Moreover, Nettnin approaches her writing from a working woman's perspective, since working began for her at an early age. Mr. Aprim Shapera addressing the Assyrians in Dubai during a pre-Election celebration. (ZNDA: Dubai) On 13 January, Assyrians in Dubai organized a dinner party at Sofitel Hotel to encourage greater participation for registration and voting in the upcoming Iraqi elections. 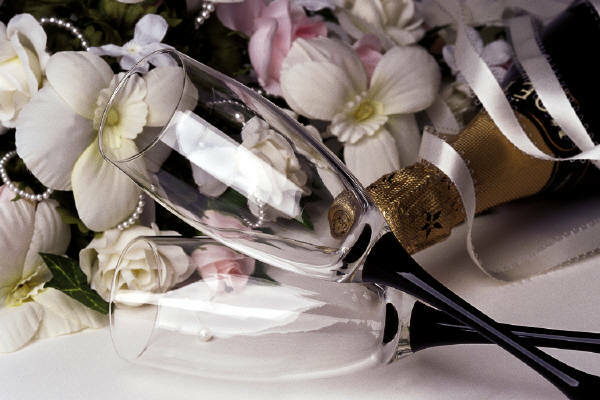 The celebrations lasted until 3 a.m. of the following day. The speaker at this event was Mr. Aprim Shapera, a well-known political analyst and contributor to Zinda Magazine. According to Zinda sources, nearly all eligible Assyrians in the United Arab Emirates are now registered to vote and plan to cast their votes on Friday, 28 January. A group of Dubai Assyrians posing for group photo and holding "Vote 204" posters. It was about a tragedy and of success! The deplorable situation of the Assyro-Chaldean people of Iraq and the demonstration of an entire Assyro-Chaldean community in France in support of their brothers and sisters in Iraq. How could we express our love for our homeland and our people? How could we ask for the protection of our people in Iraq by the French government French and the international organizations? How could one organize something which would make it possible for all Assyro-Chaldeans to come together in France? The answer was brought up by the young people in the community: a public demonstration jointly organized by the Assyro-Chaldean associations of France! This is what happened on 5 December 2004 in Sarcelles. The demonstration titled "Peace in Iraq: Safety and Solidarity for the Assyro-Chaldeans" brought nearly 2,000 Assyro-Chaldeans in support of their brothers and sisters in Iraq against the attacks, the murder of innocent children and the destruction of our churches (places of peace and prayer). The Association of Assyro-Chaldeans of France and the Union of Assyro-Chaldeans of France as well as the young people of the community participated fully in this activity which was prepared in three days. 2,000 Assyro-Chaldeans (women, children, the youth, adults, and old people) undertook a two hours walk in the streets of Sarcelles, in the capital of our nation. Seven streets were closed to traffic by the authorities who made a point of taking part in this public demonstration. A final official statement invited France to protect her allied nation. The mayor of Sarcelles, François Pupponi, committed himself to setting up a monument commemorating the Assyro-Chaldean genocide of 1915 before April 24, 2005 in his city. It is the strong symbol of the official recognition of our genocide by France! Click here to see the film by Samuel Yalap, commented in Soureth by Antoine Yalap. Click here to view the photos from this public demonstration taken by Samuel Yalap. Strategic Records is excited to announce the upcoming release of 'Ana Hurra', Linda George’s new Arabic CD. Ana Hurra released by Strategic Records which is due to hit the world market in Mid-February is a groundbreaking tribute to Iraqi freedom. The music video for Ana Hurra, the first single from the CD, is slated for release on January 22 on Ashur TV a local Iraqi Television station. The video's worldwide release is expected in early February and is produced by Strategic Records and written & directed by Dali Sabih. final product. The importance of Ana Hurra to everyone involved is simple: Iraq’s celebration of freedom. exiles from different ethnic and religious backgrounds, working together to promote democracy and freedom in Iraq. We are hopeful that Ana Hurra will bring the people of Iraq closer together as the years have spread us further apart. We must put all differences aside to promote and cherish the newly found democratic freedom in our country and take this opportunity to restore greatness to that region as there once was during the Great Assyrian Empire. Strategic Records Inc. is a division of Strategic Entertainment Inc., the production company that brought the Assyrian films, Akh Min Khimyani and Cost of Happiness. Strategic Records music and Strategic Entertainment films are available at www.assyrianmarket.com. I consider myself independent of any Assyrian organization and do not like roamers or false accusations. I am open-minded and would like to hear what all sides are saying? I get turned off when someone begins to communicate in a negative tone, or starts creating a negative image of their opposition, or shouts in an angry manner, or imposing his/her opinion on the public. I believe I share this attribute with most of the silent majority of our people. In the past I have accused our Assyrian people of being passive and full of empty words and no action. I would estimate that 95% of our people including myself are not active in politics and consider all the infighting within our organizations as counterproductive and backward. So, do you blame me, or the rest of the 95% for staying on the sidelines? I certainly don’t. However, I am Assyrian and I love my people for all their faults. I think this time this election really counts and anyone not participating in it should be ashamed of him/herself. Especially those Assyrians in the West whose bellies or pockets are full and say they care less about what happens in Iraq. Those people should be ashamed of themselves. This election is not about us here in the Diaspora. It’s about the people we left behind in our homeland. It’s time to payback and if we don’t do it this time, then we might as well forget about it. The Kurds and the Arabs have placed their stakes and there is nothing being mentioned about Assyrians. Two weeks ago I was proud to be interviewed by KRQE TV channel 13 news station in Albuquerque, New Mexico for my journey of 800 miles each way to register and vote. I did not hesitate to mention that I was Assyrian and insisted that they do not edit my Assyrian identity and history out of the interview. My family and I were the first to register in Los Angles, California that Monday morning of January 17th. We arrived in Irvine, California at 6:30 am and we were ready to register before the gate was even open. In fact the security person thought we were part of the polling staff. During the past three weeks I have gone to a great length in studying all the sides (139,148, 204 and others) and give a benefit of a doubt to the parties involved. I have also considered the events that have progressed in Iraq and how much attention the Assyrian nation has gained. If I were to give a scorecard to our political organization here and in Iraq, I would give them a Zero. It has been almost two years since the fighting in Iraq started and it has been almost two years since I heard the Assyrian name being mentioned by the Bush Administration. All I hear now is Christian-Iraqis. What is our accomplishment so far? We have representatives in the ministry of Transportation and the ministry of Immigration. Both posts are an insult to our nation or to any indigenous people, let alone the Assyrians. I have great respect for the people holding these posts, but don’t you think it would have been more logical to have the ministry of Human Rights post? Human rights post is insignificant and powerless, but it would have been a logical choice for our Assyrian representatives. It does not require a rocket scientist or a political scientist to figure that one out. In any case we Assyrian need to register and vote for this election. We also need to be careful whom we vote for. Ask yourself, do you want be called Assyrian or Christian Iraqi/Kurd? Do you want the Assyrian name permanently placed in the history and constitution of Iraq, or do you want a Christian unity that is barely holding up by few bandages be your national name? Those people who like the Assyrian name will always use it and those who never liked the name will never use it, without the compound name. I am not endorsing any Assembly here, but what I am indorsing is the Assyrian name. Why are we trying to bury our history and name with our own hands? Let’s not play into the hands of our enemies and let's do the right thing this time. [Zinda: The KRQE TV news report of our reader's travel read as follows: "An Albuquerque man says he will travel hundreds of miles just to cast his vote in the upcoming Iraqi election--and he's not alone. Hundreds of thousands of Iraqi expatriates living in the United States are eligible to vote in the upcoming Iraqi election. However, they can only vote in five U.S. cities--the closest polling station to New Mexico is in Los Angeles. Albert Warda says he must make two trips to Los Angeles. Next week, he will fly to meet his family Phoenix from which point they will drive to L.A. to register to vote. Then at the end of the month, the Warda family plans to repeat the 800 mile journey for the actual election. However, Warda says he doesn’t mind. "I still think this is an easy task. Look at it this way, if I was in Iraq you have people who have fear of voting. My people that I left behind I feel obligated to them, and I need to make a difference for them," says Warda. The election will take place from January 28th through the 30th. Warda is of Assyrian decent--a Christian minority group in Iraq. He says most of his people are still living in fear and he hopes a free election will bring new freedoms and big change for Iraq. “I dream one day of going back for vacation, taking my kids to Nineva," says Warda. It would be appreciated, if the individuals presenting themselves as election analysts would do that without passing their hidden motives to mislead our people. One should not make up numbers to justify his own logic. It would be more professional to come up and present his message without any manipulations of the facts. If one is not sure of the facts on the ground, then one should better go and educate himself first, and then claim expertise. Of course our people should and must vote for the slates that would defend our rights. Also, I wish and so does every Assyrian, that there would have been one slate to represent our people. The Kurdish factions were slaughtering each other until a short time ago, and they might very well do so again any time . But the minute they realized that their interest is in unifying themselves in one slate, they did so. Now that we presented ourselves the way we did, there is no one to blame any more, but us. To make it clear, I am against any one from our people voting for the Kurdish slate. But to make a pseudo analysis, to promote hidden motives against another slate, under the banner of encouraging voting for certain slates, that is unprofessional to say the least, if not cowardly. We should vote for any slate that gives better chances for honest representative from our people, to win. And one should not promote his own political motives that are residual of his Baathist links and doctrine, in the name of providing guidance to our people. August 23, 1973 -- I left Iraq as many thousands did, leaving as a third year student of nuclear physics at Al-Mustansyria University, Baghdad. At the time many students were practically forced to join the Arab Baathist Socialist Party by non other than the Assyrian colleagues, relatives and friends themselves. Many Assyrian students did join and stay in the country. But a lot of us did refuse to join the Baathist party in the police state of Iraq and left the country. We were afraid to lose our ethnic identity by joining an Arab party. We left because we knew that was the end of our ethnicity and our rights as indigenous people of the land between two rivers, Bet-Nahrain (AL-Rafidain in Arabic). The Baathist party and the government in Iraq was very successful in dividing our churches, organizations, clubs and our people whether Assyrians, Chaldeans and others. I personally did not differentiate between them because we all called each other “Suraya”, Atouraya, Chaldaya and Suryanaya where names were not being emphasized upon as they are now. By now I mean when we have freedom of expression in Iraq which has brought to us freedom to divide and struggle for self power as well. January 22, 2005 -- In Diaspora, San Jose, California, Iraq out of country voting inspired my son Joey, now 21 and I to travel 750 miles (1200 Km) round trip to Irvine, southern California and stay over night and register today. January 23, 2005. This only out of country registration and voting center in the state of California. We felt for our people and our Assyrian homeland in Iraq, having the first chance ever to participate in a democracy where our people will be represented hopefully and truthfully in a democratic government of Iraq, our home land. Although this election might not be a perfect election, but at least it is one. Now that all of us who intend to vote in the upcoming elections on January 30 and have registered should be careful and do not get drifted by sympathetic and kindly hearted thoughts of your friends and relatives and some of the Assyrian media. Remember the sayings “Divide and Rule” and “Those who do not know their history, they will most likely repeat it” and “The enemy of my enemy is my friend”. The enemy this time around is within and is in Diaspora and in the homeland. I have no co-relation with the Bet Kolia family, however as an Assyrian in the community of San Jose I am disappointed in how every time something happens your publication feels the need to announce it to the rest of the world. When are the Assyrian people going to learn that when something unfortunate happens it is not a ticket for everyone to talk about? Honestly think about it, how do you think the family of this person feels? Their father's name all over Zinda Magazine. This is not the first time your publication has announced the wrong doing of an Assyrian in our community. I hope that there are more interesting things you can write about every week instead of the wrong doings of our fellow people. I was saddened when I read your article "Assyrian Bishop Suspends a Church Member in San Jose". Why should a gift shop at our church present or display some materials to affect church members? At a time when most Christian churches are moving away from old disciplinary practices to gain members especially young generation, the Assyrian Church of the East uses excommunication as a tool to threaten, control, discipline, and expels its members? With all due respect to the leaders of the Assyrian Church of the East, no bishops or no earthly court can take away our potential as a child of God. No Church leader can judge our life. No administrative procedure can condemn our soul. Most importantly, no one can take away our spirituality. The Spirit never withdraws from those who sincerely seek to do good. Our integrity, our morality, and our spirituality remain intact. Disciplinary councils can be a dangerous system of control, management, and abuse. I believe that they are contrary to the teachings of Jesus. Suspending a member from the Church does not prevent us from praying, fasting, and keeping in tune with the things of the Spirit. My grandfather (Qasha Shemouel Betkolia) was a priest of the Assyrian Church of the East. He taught us to remember that our Heavenly Parents love us. They want us to live in joy. They will always accept us the way we are. We are Assyrian. We were born Assyrian, We live Assyrian, and we’ll die Assyrian. God bless all Assyrians. In the wake of His Grace Mar Bawai's decision to suspend Mr. Yosip Kolia for the reasons mentioned by Zinda Magazine, it might sound cruel and unforgiving. But the truth of the matter is, His Grace the Bishop had exercised a valuable fail-safe tool to protect the integrity of the Body of this sacred Church. These measures are not spontaneous, but were designed and carved on stone by the Apostle Paul whom He was a lawyer and a philosopher, and made them available to the Church hierarchy to benefit first and for most the Church and ultimately the Body of Christ. Keep in mind my dear Christian brothers and sisters, these are the same laws at the disposal of all the Bishops in our Church, to cleanse the Church from the dark clouds of the scandals which Zinda readers are quite aware of. Although our Lord forgave His killers and did not curse those that hurt Him personally, but Our Lord used a whip when the traders desecrated His Father's house (the church), because it wasn't about Him, but His Father and the principal of the church. We applaud Mar Bawai for his steadfast action not only for guarding the honor, integrity and principles of our beloved Assyrian Church, but for giving us the hope that we seem to be lost, where standing up for what's right and righteous seems to be forgotten along with the lost opportunity of having a bright future for our Church and Assyrians in the homeland of Iraq. Finally, we pray to our Lord to grant His guidance and forgiveness to us and especially to Mr. Bet Kolia, and to every one else. Well done to Linda Pecho for her criticism of the documentary "The Last Assyrians." Had I seen the documentary without knowing anything about the Assyrian people, I would have been led to believe that Assyrians are basically Catholic, speak mostly Arabic and consider themselves to be Iraqi's. This documentary should be of concern to the Assyrian people for a number of reasons. It contains some gross inaccuracies, such as the claim that Assyrians where first called Assyrians by Anglican missionaries and that they did not call themselves by this name previous to that. For a documentary purporting to be about Assyrians, it depicts precious little about Assyrians per se, save for a snippet of Linda George visiting Bet Nahrain. More seriously however, are the veiled racist criticisms veiled against the Assyrian community, which rob the documentary of its objectivity. The documentary depicts high ranking Chaldean clergymen criticizing the dogma of the Church of the East, unfairly calling it a 'national church' without providing the Church of the East with a right of reply. It also says precious little about the current state of the Church of the East in Bet-Nahrain, something that if the documentary had pretensions of being current, it should have. In another attempt to discredit the Assyrian people, the documentary permits extremely derogatory comments to be made about Zowaa, especially by clergy of the Chaldean church, to the effect here one gets the impression that Zowaa is a racist, fundamentalist and extremist organization. It is unknown whether the France-based documentary maker set out deliberately to denigrate the Assyrian people or whether in his ignorance, this resulted from the information he received from interviews he took. What can be said with certainty, is that the title "The Last Assyrians," is misleading as the documentary has little if any objective content about the Assyrians at all. It is not even worthwhile purchasing it, as I did, out of interest, for a viewing of it will only confuse youngsters and enrage adult Assyrians who know their history. I look forward to the day when the Assyrian people can produce their own objective documentaries to educate their young, without falling victim to the poorly produced efforts of others. Robert Alaux, director of The Last Assyrians (left) receives an award from the "Center for Information and Documentation Assyria" in Enschede, Netherlands on 20 January 2005. Photo courtesy of www.bethnahrin.nl. I read in Zinda Magazine the letter written by Linda Pecho about the documentary "The last Assyrians". Of course I understand that somebody may not enjoy this film and I completely respect the opinion of Mrs. Pecho. But as Director of this film I will respond to my use of the term "Assyrians", because this word could be misunderstood. First of all I am not a member of any oriental Church -- neither Chaldean nor Syriac (Orthodox or Catholic) nor Assyrian Church of the East). I am French and as far as I know, my ancestors were already living in France several centuries ago. During my three stays in Iraq and my numerous travels in Syria, Turkey and in the Diaspora , I listened to the members of the Assyrian/Chaldean/Syriac communities and I understood that a majority of them think that they are one People, one Nation, even if the History has created differences among them. Many of them believe they could completely vanish from the Middle East if they do not manage to work together, in a environment that is so hostile. An important portion of these Assyrians/Chaldeans/Syriacs who think they are One Nation has chosen the name Assyrians as their national name. 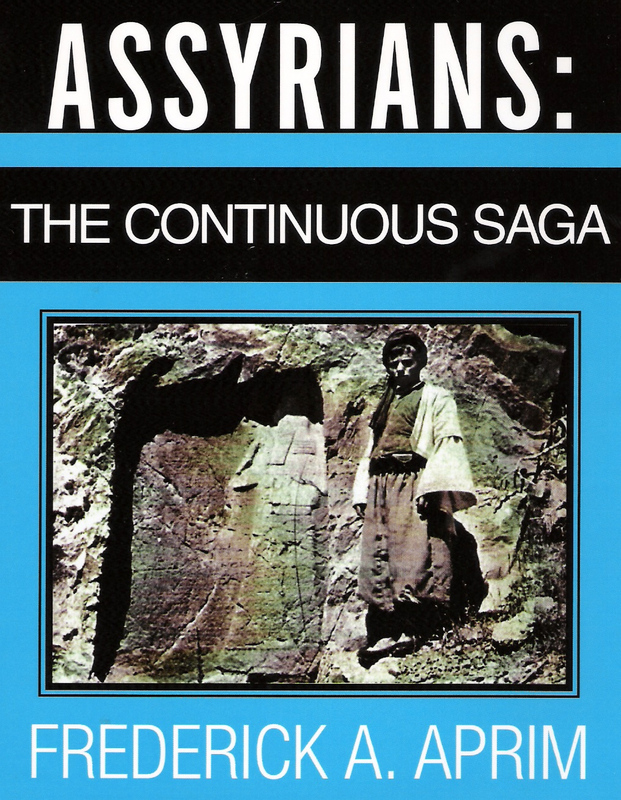 It is for this reason that the title is "the Last Assyrians". The aim of my film is only to help your people to be more recognized, because I noticed that very few western citizens are aware of your existence. Your past is full of tragedies and slaughters, but also of a very rich culture, and I really hope that you will be recognized as one of the most ancient people of Middle East. Several other names are used, such as Arameans (used by several groups in Europe), ChaldoAssyrians, etc. Other members of these communities say that the "Chaldeans", the "Assyrians" and the "Syriacs" are completely different people, and they deny the existence of a common nation, and some bishops claim that your identity is only a religious identity. On the contrary, I met Assyrians who told me that it is possible to be Assyrians and be an atheist or even a Muslim. I am not one of your people and of course it is up to your people to decide about the questions on names, words and identity. I am not involved in these choices. I am only a witness. For me all the components of this nation are equally important. If I speak a little more about Chaldeans, it is only because they are more numerous in Iraq and in the French community. The Assyrian Democratic Movement has brought together people of all Churches. I speak about ADM as an example of a political movement because I cannot speak of all political parties. But of course I know that several other parties are doing good work. Linda Pecho speaks also about the Arabic language: In France, the "Assyro-Chaldeenne" community (they have chosen this name) is mainly Chaldean but everyday, at home and else where, they speak in Soureth, the same Aramaic language that the members of the Assyrian Church of the East speak. Same situation exists in Iraq. And very likely the ancestors of the French Chaldeans were members of the Church of the East (now called Assyrian Church of the East). In making this film, my goal was to show the differences, but above all the common identity of these Eastern Christians. I emphasize that I have received congratulations and support for my film from the archbishops of the Assyrian Church of the East, the Syriac Orthodox Church, the Catholic Church (representing Chaldean and Syriac catholic Churches), and also from specialists, scholars and several Assyrian political leaders. Lastly, in making this film during the last six years we have lost a great deal of money, so it was not a way for us to become rich that we (I and Lieurac Productions) completed this project. Again, I repeat that this response is absolutely not against Mrs Pecho or other readers of Zinda Magazine, rather to enlighten the readers of Zinda about my understanding of the Assyrian people and their struggle. Thank you. AWHR believes that if democracy and good political parties are to be achieved in our community, then the rights of the Assyrian women must be given serious consideration". 07.30 pm AWHR Workshop The overall goal of AWHR is to strengthen the power and influence of the movement for women’s human rights. but also to the whole nation and its identity. To print the AWHR Conference Programme in a separate sheet click here (pdf file). Institute of European Studies (IES) Conference: "Language Communities or Cultural Empires: The Impact of European Languages in Former Colonial Territories," University of California, Berkeley (February 10-11, 2005). 3) European approaches to linguistic integration in the context of globalization. This panel will survey the current state of scholarship, and analyze the similarities and differences in the focus of scholarship in British Studies, Portuguese Studies, Spanish Studies, and French Studies. This panel will focus, among other things, on the political use of language, the role of language in Human Rights issues and Education, Immigration Politics and Policies, the role of language in Trade and Finance. This panel will explore the effect of globalization on the relationship between the colonial power and its colonies (effect on common language, culture). For more information, please visit http://ies.berkeley.edu, or contact Yana Feldman at yfeldman@berkeley.edu or 643-4558. Symposium for Graduate Students: 9th Annual Near Eastern & Middle Eastern Civilization, University of Toronto (March 31, 2005). Graduate students are invited to submit proposals presenting original research on the theme: Social and Economic Aspects of Daily Life in the Ancient and Modern Middle East. Each presenter will be allotted 20 minutes followed by a question and discussion period. or delete his own comments. Only registered users can post comments. Registration is quick and free. To register please click here. 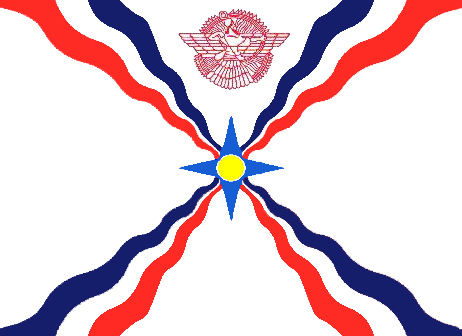 I had been waiting eagerly for the weekend of January 22 and 23 so that I could do my patriotic duty as an Assyrian. Last Thursday I felt miserable. I was coughing, had a bad headache, congestion, and all my bones were ailing. I visited the emergency room; the doctor told me that I had the flu and that I needed to rest, drink a lot of fluids and soup. My body's timing could not be any worse. On Saturday morning, I so wanted to stay in bed, but something kept forcing me to get up. I knew I had to ignore anything that could prevent me from helping my people in Iraq. I had to go to L.A. and vote. My sister and brother-in-law were energetic as usual and kept encouraging me to remember the reasons why we were making the long trip. At 11:00 a.m., we began our 7 hours drive from Northern California to Irvine in order to register for the Iraqi Elections as expatriate Iraqi Assyrians. I sat in the back, did not speak throughout the journey, and kept my mouth covered because I did not want my sister or brother-in-law catch my flu. We finally arrived at the given address for the registration center in Irvine around 6:00 p.m. and we were unhappy from what we witnessed first. We had to go into somewhat a deserted area, where many police and security personnel were welcoming the visitors at a dark entrance gate. A search of the vehicle and luggage ensued upon our arrival, which we did not mind of course, considering the security situation. Next, we drove through a dark path towards a poorly lit parking lot, which was using a generator to produce the source of lighting. Along that short dark path, a security person with torchlight directed us first to where he was standing and then towards that improperly lit parking lot. He advised us where to park and what we were permitted to carry with us inside the building. He told us that cameras were not allowed inside even though we were so excited to record that historic moment. Next, we went through another personal security check gate. Inside the building, there was electricity and everybody was courteous. We were then directed to the appropriate table, where we presented our IDs and the necessary documents and then each one of us was given a card to use the week after when we returned for voting. We hung around for about an hour and during that whole hour only one couple went through the process, our own Mr. and Mrs. Firas Jatou. I asked one of the officials about the turnout. I was told that it was very low. I was very saddened because I thought that I would see many Assyrians (ChaldoAssyrians) taking part in this historic event. The more I absorbed the words of that official the more my feelings of illness due to the flu turned slowly to anger and disgust. On our way back to our aunt's home to stay the night, I wanted to cry. I tried to discredit that official. I visited later the official site for the Iraq Out-of-Country Voting Program and found out that the total number of the registered people in Chicago was around 5,550 in eight days; in Los Angeles around 3,730 (many could be Arabs as the official stated); and in Detroit 9,000 (many could be Arabs as well). I looked at the Nashville figures (where Kurds are concentrated), and the chart showed that around 3,800 people have registered. This represents perhaps the maximum figure for eligible Kurds, i.e. every single eligible Kurd in Nashville did register. Where is the voice of the Assyrian, Chaldean, ChaldoAssyrian, Suryani, Arami, Syriac, or any other damn name and title we carry? Why are the Assyrians so insensible and hardhearted towards issues that are so vital to their future? Where are the Assyrian civic institutions? How many of them have printed leaflets or reminders and sent them to their members asking them to do their civic duties? Where is the Assyrian American National Federation (AANF) and its 30 something affiliates? Mr. Aladin Khamis in his first message as a president of AANF, posted in the latest Assyrian Star (Fall 2004), spoke of being active, increasing AANF's reach, and broaden its vision. The time has come. I ask, what was that all about? How many political and civic groups have encouraged their members to register? How many political or religious leaders went on radio or TV shows and talked about how important it was to register and vote? Raabi William Daniel said once: "we are a nation in coma." There is no better way to describe this pathetic situation. Mar Dinkha, the Patriarch of the Church of the East, was last weekend making another of his leisurely tours to California, as if his people are not involved in the most important elections of their modern history. The Patriarch seems to be numbed and refuses to even talk about the elections. He seems to be living in a different world and not in the same world his people are living in. He seems to be living in a beautiful dream while his people in Iraq are fighting for their place in future Iraq, the land of their ancestors. The Patriarch had stated that the Church must not be involved in politics. However, the fact is that the Church of the Assyrians is involved in politics since its bishops and priests continue to issue statements that are nothing but political. Certain priests make frequent calls to certain Assyrian TV stations and in the most uncivil manner degrade certain Assyrian political leaders, praise others, take sides, and ask people to vote for one particular group and not the other. If not being involved in politics is the policy of the Church of the East, shouldn't those who break the policy be reprimanded? The second thing is that encouraging people to vote does not necessarily mean that one is involved in politics; voting is a civic duty and in this case it is to benefit Iraq as a whole. We are not asking the Patriarch to ask the people to vote for one particular groups and not the other. We are not asking the Patriarch to act as other religious leaders in the Middle East. Grand Ayatollah Ali al-Sistani calls the Iraqi voting a holy religious duty for all Shi'ites to perform. Coptic Patriarch Pope Shenouda III went to St Bishoy Monastery to protest Muslim discrimination against his people. He remained in seclusion until the Egyptian government promised to address the problem and find a solution that his conscious could accept. His Beatitude, Mar Nasrallah Boutros Sfeir, the Maronite Patriarch has been the most vocal figure against the Syrian occupation of his country and continues to remind his people in many of his Sunday mass sermons and addresses about their right for a sovereign Lebanon. All we are asking is that the Patriarch encourage his people to vote. The people need sometimes that push and motivation. That is all. Furthermore, I could understand (but still would not accept it) if an Assyrian lived in San Francisco and found it unbearable to travel to Irvine twice in the span of 7 or 10 days in order to register and vote. What is the excuse of those living in Los Angeles and San Diego who are at most an hour or an hour and a half away? Where are the eligible voters from the 80,000 Assyrians in Chicago? What has happened to this nation in the Diaspora? Someone said to me today that it is obvious that the two-year bad mouthing propaganda of Bet Nahrain Inc. affiliate AssyriaSat and the continuous attacks of one Assyrian group against another and their non-unity have driven average Assyrians away and that Assyrians are simply tired of everything relating to politics. If that is the case, I pity this nation for allowing losers to discourage them from doing the one right thing we could in our modern times. Let me say finally that I hold every person who holds a leadership position in the Diaspora (whether civic, political, or religious) responsible for this complete failure and collapse in the registration and thus voting process. Let history record that these so-called leaders failed in performing the minimum requirement of their position when it was needed the most. This weekend, January 28-30, over a quarter million of citizens of the world will be casting ballots, for slates of candidates, representing their attachments and/or their personal, political, religious and ethnic affiliations to fill the 275 seats of the Iraq National Assembly. Another 11.5 million, plus or minus, are eligible to cast their ballots in Iraq itself. By simple mathematics, one might denote that for every 50 ballots cast in Iraq, there could be 1 vote cast by the Iraqi exiles. It is almost certain that no less than 200,000 Iraqi exiles will be voting, however, the number of participants in the vote in Iraq is oblivious at press time. The hypothesis above might appear gloomy and out of scope, since some skeptics might perceive, that 1 single vote in comparison to 50 will not deter nor affect the results. Needless to say that the 200,000 ballots cast overseas for Iraq Representatives shall definitely be distributed on the parallel line with the Iraq sectors of ethnicity and religion exactly as they are subdivided. The Shi'as will cast their ballots for Shi'as; the Kurds for the Kurds; the Assyrians for Assyrians -- we hope -- the Chaldeans for Chaldeans; the Yezidis and the Mandeans for the ones seem more promising than the others; the Armenians, Arab Christians, the Greeks, and the remaining Christians for about five (5) slates of the Christian ticket. As far as Chaldoassyrians are concerned, they shall disappear into oblivion. 'Le Flux les apporte, le reflux les remporte' , (bread cast upon the water). The skeptics are correct in their assumption. It is an elementary rationalization to advance the notion that the results have been labeled, encoded and registered. Otherwise, what kind of election is it when the numbers of the candidates each sector is allocated and is allowed to fill has been dictated months, prior to elections? A random glance at the doses prescribed for each sector are expatiated to satisfy some and to equalize the others. The Shi'as, the Sunnis, the Kurds, the Turkomen and the Christians, encompassing Aramaeans, Armenians, Assyrians, Chaldeans, Jacobites, Orthodox and Nestorians, along with some other unbeknown internationally sects such as Mandeans, Yezidis, and a haphazard clichéd opportunistically political invention of Chaldoassyrians, are administered a specific number of seats they might try to occupy. Well, so much for democracy. All said, even a scent of democracy is worth the effort of exercising one's rights. Cognizant of an antagonistic climate, one ought to consider the option, no matter how feeble, that is available. That option of trying to exercise one's conscience is a step forward, since it tends to temporarily accommodate the inner feelings, by superimposing dignity over obedience. And, that is an accomplishment and a feat, perhaps more so psychologically than politically. As it happens, sometimes in order to save democracy, some safeguards of democracy are suspended. This is a common occurrence, since it is rampant during wars, or wars looming over the horizons of peace. And, as long as mankind embarks on warring machinery, many elements of democracy shall remain in limbo. "…There is human feeling and German feeling…." [Kipling]. Although somewhat an aberration, this was said in reference to the xenophobia in Kaiser's Germany. There is an Oriental democracy and democracy. The only weapon in your arsenal is YOU. So, then GO AND VOTE. “Why didn’t I ever put my words to paper you ask? When the words are created, they’re put together with nothing but passion. Now I ask you, if I love them that much, why would I forget? Regardless, My mind works faster than my pen. But, it never runs out of ink.”! A strong blue collared upbringing has given him the space and strength to see the world as a sarcastic realist. That same reality is tested when the demons he’s been fighting the last ten years become too much to handle. A tragic event that he and his family have been trying to forget can’t be bottled up any longer. He is forced to give up his vision only to struggle with his nightmares. Nightmares involving his deceased mother that clog up his days along with his nights. This one time visionary poet with all the upside in the world is turned into an isolated young man. His demons are accentuated by a father whose only answer to life is an imaginary message in a bottle. A message that is used as the most original excuse to drink, and in return, forget. Leaving all this behind is not an option. He is helped to understand this through his newly found relationships. He first finds a connection with the world through a homeless poet, Gin. Gin is the original realist. Real enough to chose his lifestyle only because his past became “the epitome of fake”. The true splendors of a Domino effect are displayed when his restored confidence in himself is used on the lovely Laura. In Laura he finally finds a reason to smile once again. It is Gin and Laura that truly help Jimmy find his calling. Not the artist inside him but instead the fact that he still has much to live for. He hasn’t lost it all, not only does he have a younger brother to care for, but he knows there is still hope for his father. Poetic Emancipation is a series of scenes that come together to form a visual poem. A poem needed to unlock the truth behind the nightmares. "Poetic Emancipation", a film by R. Rehana Productions, premieres in Chicago on 30 January 2005. The film was produced by Assyrian talents for the Assyrian and American audiences. "Before we hit the Film Festival Circuit we want to screen the film for Assyrian Audiences" comments Mr. Adoni Esho. "Poetic Emancipation, if anything, is the voice of a young generation, a new generation. One that is trying to take our father’s voice and put it into motion. Poetic Emancipation is what I hope to be the start of a new vision. A vision that helps our culture spread across the shelves of video and retail stores all over. Is it too much to ask for an all Assyrian DVD retailer… I don’t think so," comments Ron Rehana of the R. Rehana Productions and Hal A-Bad Picturres. midway through, and was a fitting choice considering his longtime acquaintance with Esha and his experience as a scriptwriter. According to Rehana, Esho’s arrival on the scene was a perfect fit. Originally, there were no problems casting Poetic Emancipation, but the actors who had been cast as John [the lead character’s father] and John’s wife didn’t surface once production began and had to be recast. The first day of production was the first day of angst for Poetic Emancipation. As Rehana recounts, the shoot was taking place at Warren Park in Chicago. Everything was just as they had hoped. “The weather was perfect, the location was just right, and then a quarter into the shot … and the music starts.” Apparently the Park District had failed to mention the Nigerian Fest, which was taking place right next to Poetic Emancipation’s location. see if they got any spirits on camera. The locations of the film have been scattered throughout the Chicagoland area, including the Xippo Bar, Pharaoh’s Café and an apartment complex in Berwyn. needs to do is ask,” Rehana said. While the original budget for the film was set at about $40,000, unexpected production problems have stretched the actual budget into the $50,000-$55,000 range. All things considered, Rehana was confident about meeting the post production goal and hopes to release Poetic Emancipation by December.